Easy, Powerful & Affordable Call Routing System with Free 30-Day Trial. Includes Minutes & Free Toll Free or Local Number for your Website. Easily buy toll free or local phone numbers for you or your company. Manage who receives what calls and when or where they receive them. 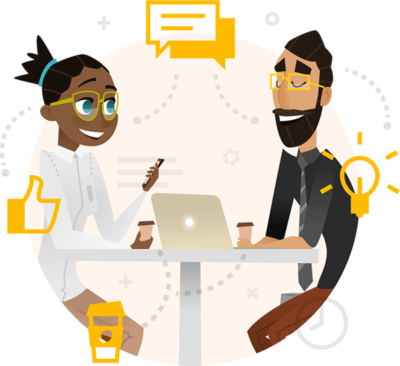 Track and measure your campaign results with our smart reporting. 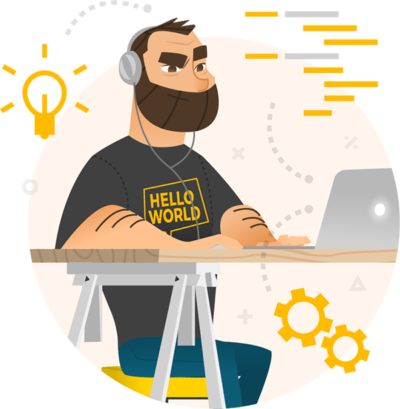 Send calls to your cell phone or build an advanced call routing solution. 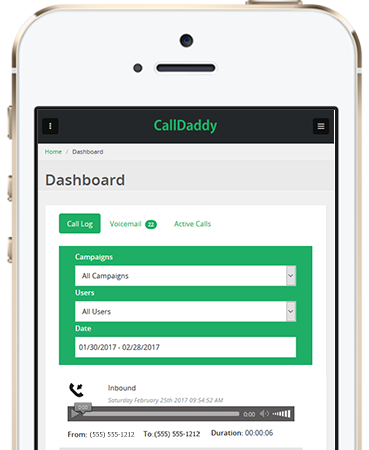 The CallDaddy system is easy to use and managed completely online. No phones to buy, hardware or long term contracts. Simply buy a number online and set up when, where and how you want your calls to flow. How Can I Direct Your Call? Simply point your number to your cell or create extensive Auto Attendant routing to departments, extensions, information lines and more. Easily transfer calls & host conference calls. 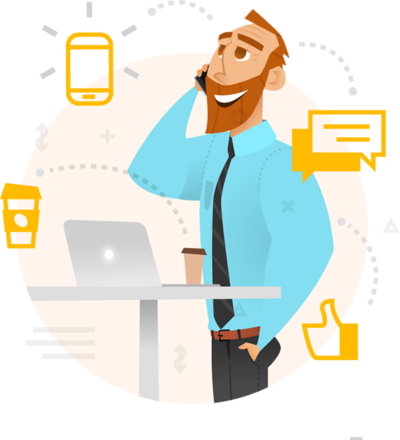 Easily set up call routing options that assure calls reach your team regardless of their location. At home, the office, on the go or even on vacation – your calls always reach your team.